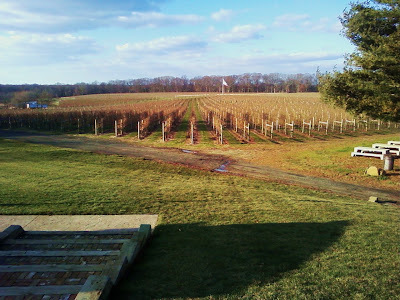 Laurita is a big winery. It was built to become a banquet mecca for central New Jerseyans, as well as become a real driver of quality wine in New Jersey. The commitment is there. The buzz about Laurita from the start has been good. It's big, beautiful, impressive, and the investment is obvious. From the planting of the grapes to the choosing of a vineyard manager and winemaker, the operation is top flight. 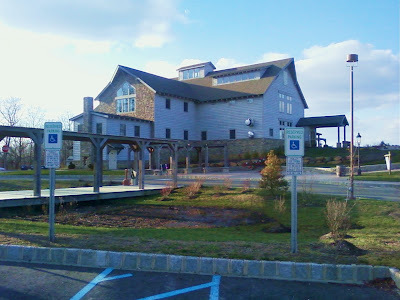 Laurita Winery, located in the Outer Coastal Plain American Viticultural Area (AVA) in central New Jersey, is dedicated to creating wines that derive as much character from the fruit as possible. As responsible stewards of the land, we devote ourselves to the intensive care of the vines and grapes when thinning and pruning, hand harvesting and processing. During the wine production stage, we are committed to preserving the fruit as the heart of the wine. 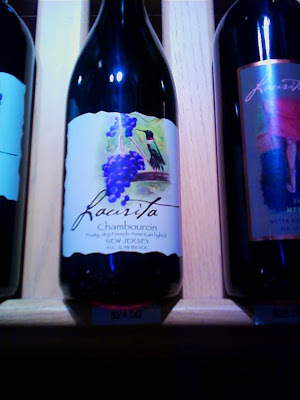 Production at Laurita Vineyards focuses on making wines from grapes that are recognized and accepted worldwide, concentrating on the Vinifera, the classic European noble varieties. From 1998 through 2000, the first 20 acres of Chardonnay, Cabernet and Merlot were planted; and in 2002, the second 20 acres of vineyards received the cuttings for the Pinot Gris, Lemberger, Chambourcin, Norton and Zweigelt. 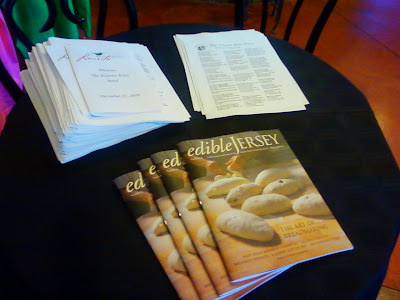 In the interest of research and experimentation, five acres have been set aside for growing grapes that, contrary to popular belief, may not fare so well in the New Jersey soil and climate. The vineyard manager and winemaker is Nicolaas J. Opdam. Nick entered the wine industry thirty-four years ago as a chemist with Canada's leading winery where he quickly rose to the position of assistant winemaker. Being trained initially in the production of sherries, ports and sparkling wines, Nick was able to develop a desire and experience with the noble varieties such as cabernet and chardonnay as the the industry switched to premium table wines. 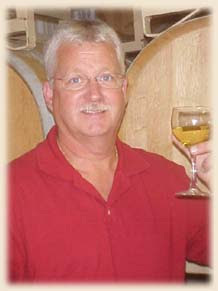 As a member of the the Canadian Society of Oenologist & Viticulture, and as past President of the Canadian Society of Oenologists & Viticulture, Nick's reputation for quality drew the attention of wineries in the United States. 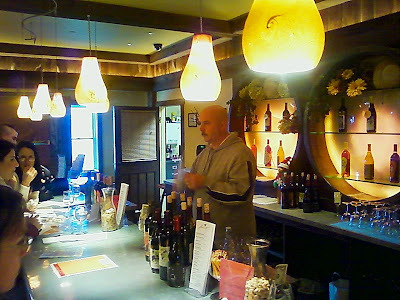 Nick is currently a member of the American Vintners Association and the American Society of Enologists & Viticulture, as well as the New Jersey Garden State Wine Growers Association, of which he is a past president. Dominique and I arrived. The boys were with us, rolling their eyes. "Not another winery!" they shouted in unison. "So stay in the car," I shrugged. They followed shortly after as usual. 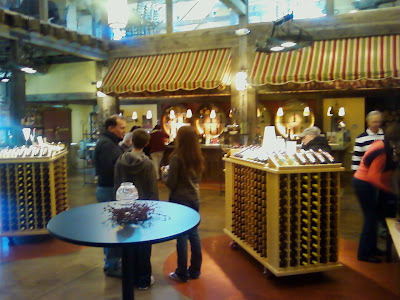 Dominique and I marveled at the large buildings, the grand and impressive banquet facilities, the large shop, and multiple tasting bars, an the two roaring fireplaces. Then it was off to the tasting bar. The naked Chardonnay and Pinot Gris were both very nice, light, refreshing, and drinkable. The Merlot was light-to-medium bodied, but with enough character and flavors to be taken seriously. But I was curious about the Chambourcin and Lemberger. And was I ever impressed. The Chambourcin was lovely and delicious. It was big and bold and flavorful. 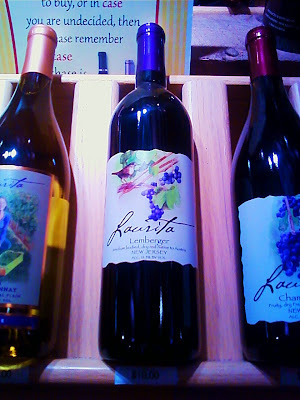 In New Jersey, alongside Hopwell Valley Vineyards and Silver Decoy, Laurita's stood strong. Some of the best Chambourcins in America right now are being made in New Jersey. End of story. I dare anyone to throw down with those three Chambourcins, and see how they fare. They prove that winemakers, when they spend the right amount of care and handling, can take a hybrid where their forebearers could not. The winemaking skills now exist on the east coast to establish some of these wineries and regions beyond how they are perceived now! These are the cutting edge Chambourcins on the east coast. The other stunner was the Lemberger. 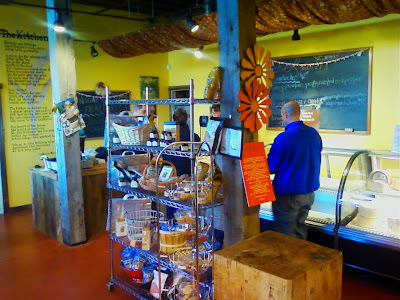 Now, I have tasted many of the most popular Lembergers from the Finger Lakes. Many are light, delicate, and flavorful wines. You can see a style emerging. But this Lemberger is where everyone else wants Lemberger to go in New York, but have not yet achieved. This Lemberger was big and round and deep in color and full of flavor. Red and black currants pounded you on the nose, followed by bright cherry and red currant. An explosive wine, brimming with flavors and smells I have never seen a Lemberger exude before! This is the best Lemberger I have tasted in any of my travels any where. And I can now see what so many winemakers are trying to capture. Opdam has done a tremendous job with this grape. Sensational. This is what everyone else is dreaming of accomplishing. Opdam is already there. This is to Lemberger what Heart & Hands is to Pinot Noir! If you want to see the future of these two hybrids, you need to get yourself down to Laurita, and see what Opdam and Laurita Vineyards are doing.